It wasn’t easy to cull through thousands of archived photos to tell UTA’s story, but Evelyn Barker and Lea Worcester were up to the challenge. 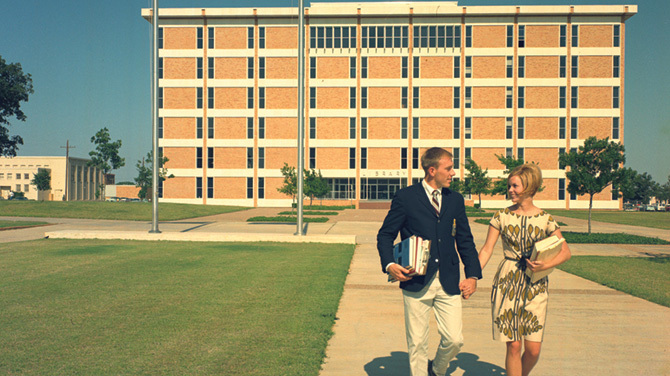 Barker, director of marketing and communications at the UTA Libraries, and Worcester, a librarian in Special Collections, spent more than a year selecting vintage photos for University of Texas at Arlington, a 128-page paperback that’s part of Arcadia Publishing’s Campus History Series. “Our intention is to make students, faculty, staff, and others more aware of our University’s rich history, but on a more personal level,” says Worcester, who, along with Barker, also co-authored a 2011 book about the city of Arlington. The new book chronicles the history of the University through three centuries and under eight names as it evolved into the research institution that now educates more than 51,000 students globally. Most of the images in the book are from UT Arlington Special Collections. Others come from various campus departments, University Communications, and Tarleton State University, with whom UTA shared a spirited sports rivalry in the 1930s. To order, go to arcadiapublishing.com.